The work WIDOK (The View) plays with the viewer’s imagination. Our perception is the direct link to the world. 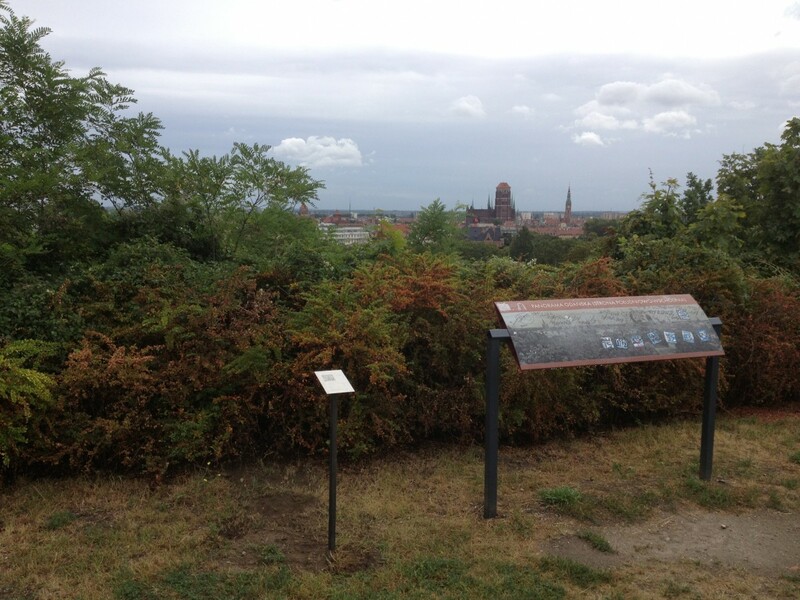 We save through our senses, in our memory we note different aspects of the environment. Whether consciously or unconsciously. Our perceptual space is always individual and always in perspective. 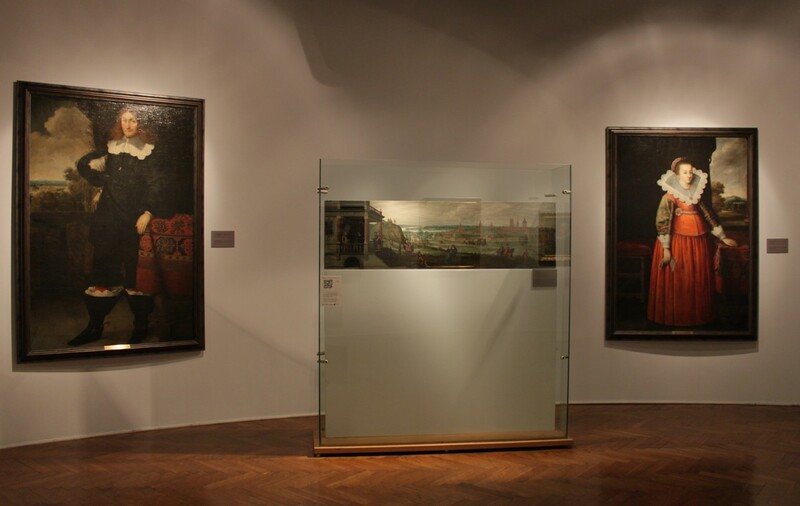 In terms of historical paintings in the two museums, National Museum and National Maritime Museum in Gdańsk, our contemporary view is questioned on things in the context of historical representation. It creates a kind of balance between the present and past life and its image. 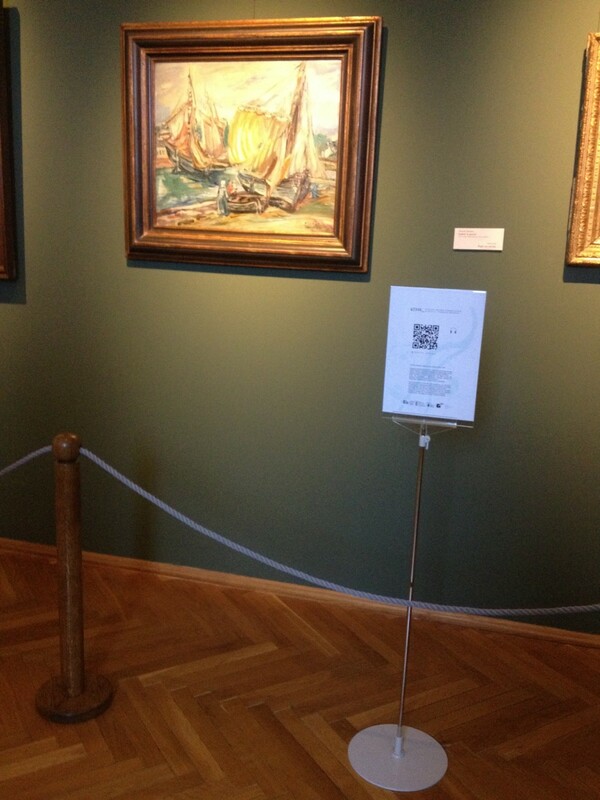 By visiting one of the mentioned Museums the visitor is able to find the selected paintings in the exhibition space. 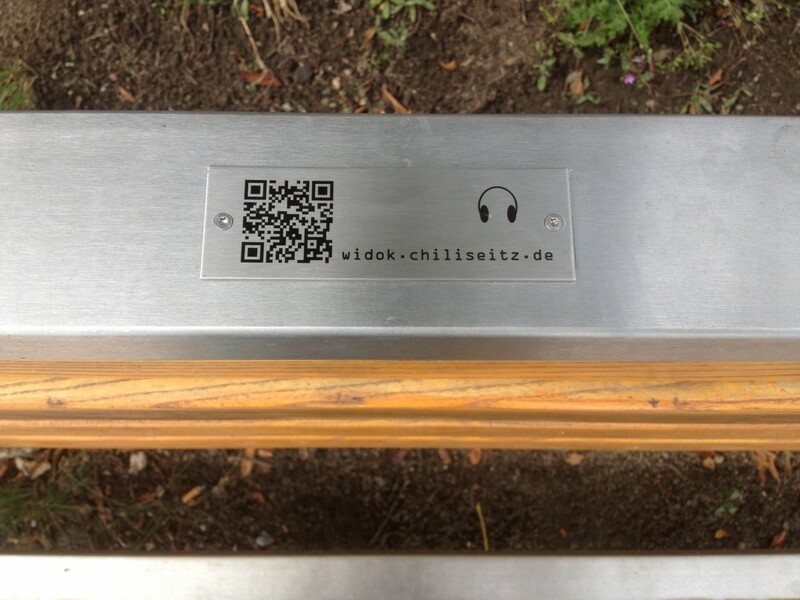 Next to them QR Codes are placed as well. 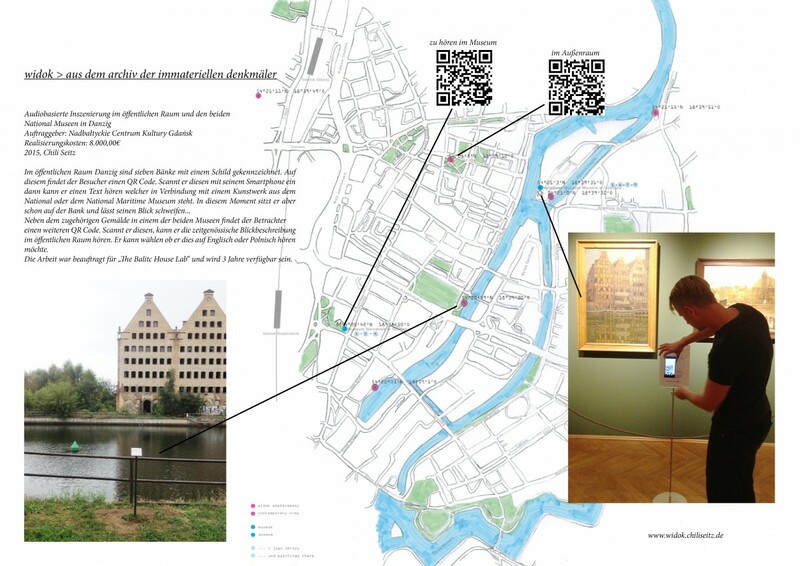 By scanning one of them, the visitor is listening to the specific view in the public space. The work was commissioned for The Baltic House Lab 2015. Partners are the National Museum of Gdańsk, the National Maritime Museum of Gdańsk, the Baltic House Lab and the Nadbałtyckie Centrum Kultury Gdańsk. Übersicht der Arbeit im öffentlichen Raum und den beiden Museen.